Often in my lunch break I would walk down to the Opera House and take in the views. On my way down I would walk past the art gallery Collins and Kent and 'window shop'. One day I noticed they were having a closing down sale, as they were moving to new premises in the city. I just had to have something! 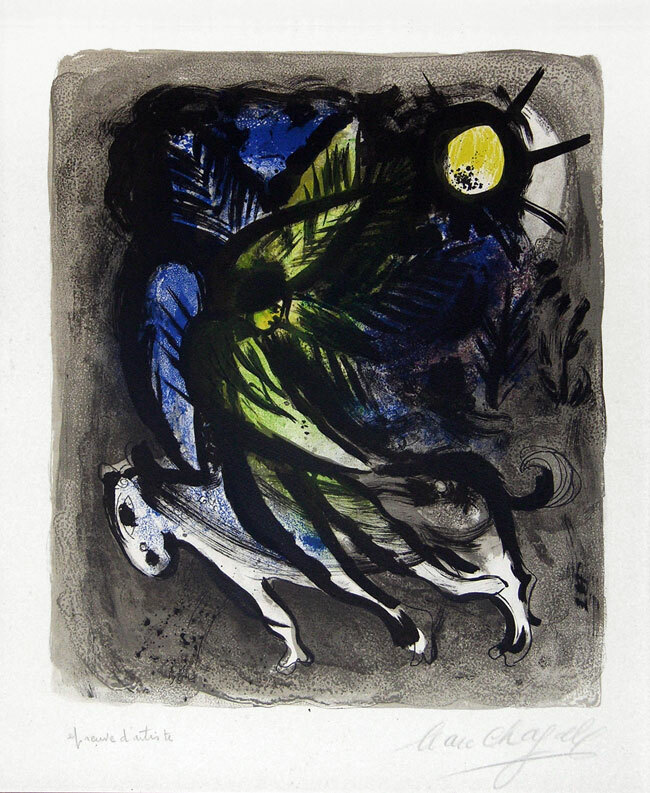 I fell in love with the a work by Marc Chagall called 'Angel', it was an original colour lithograph from the 60's. I was about to purchase it, but my head got the better of me and I decided that it was more money than I could afford at the time. I have always regretted that decision. I will purchase it and make up for my decision. I already know exactly where I will put it!